I have a bladder condition and Aloe Vera Gels by NOW really help a lot. I use these in combination with marshmallow root. Makes a big difference for me! Aloe Vera offers a variety of nutrients‚ including vitamins‚ minerals‚ enzymes and amino acids. Aloe Vera’s constituent mucopolysaccharides‚ also known as glycosaminoglycans (GAGs)‚ are thought to be its active components. Scientific studies have indicated that Aloe can help to support the body’s own healing processes. 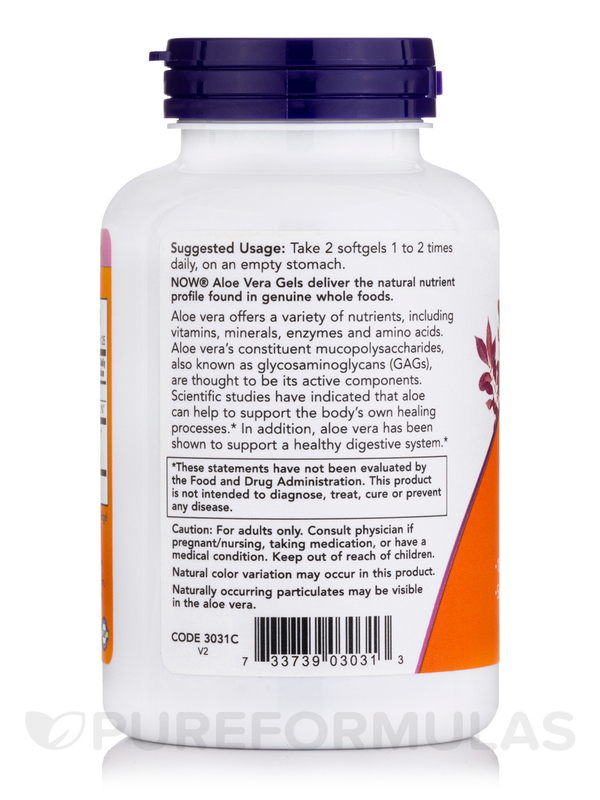 In addition‚ Aloe Vera has been shown to support a healthy digestive system. 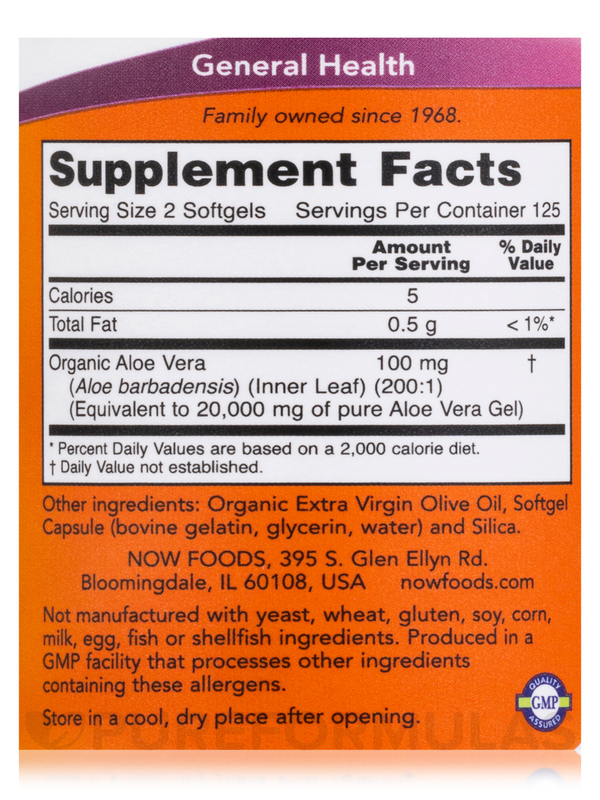 Other Ingredients: Organic extra virgin olive oil‚ softgel capsule (bovine gelatin‚ glycerin‚ water) and silica. Not manufactured with yeast‚ wheat‚ gluten‚ soy‚ corn‚ milk‚ egg‚ fish or shellfish ingredients. Non-GMO / Quality GMP Assured. 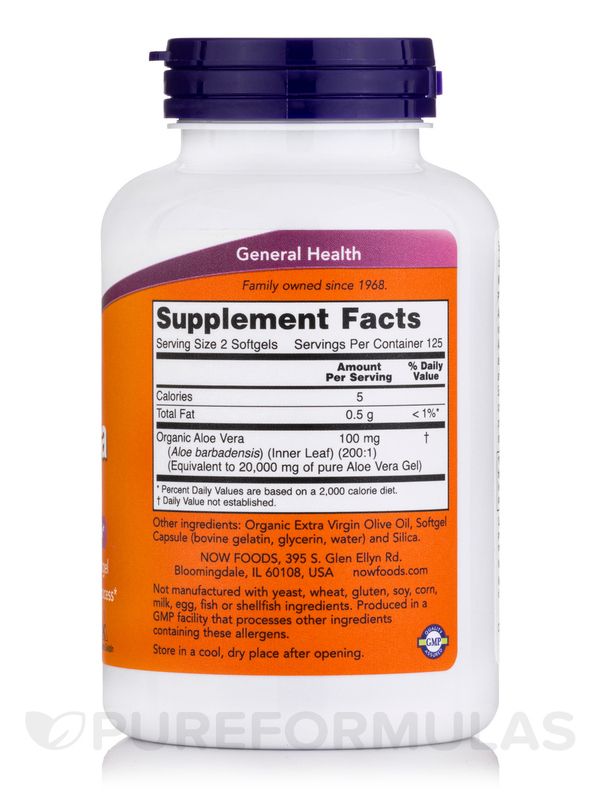 Take 2 softgels 1 to 2 times daily‚ on an empty stomach. Notice: Natural color variation may occur in this product. 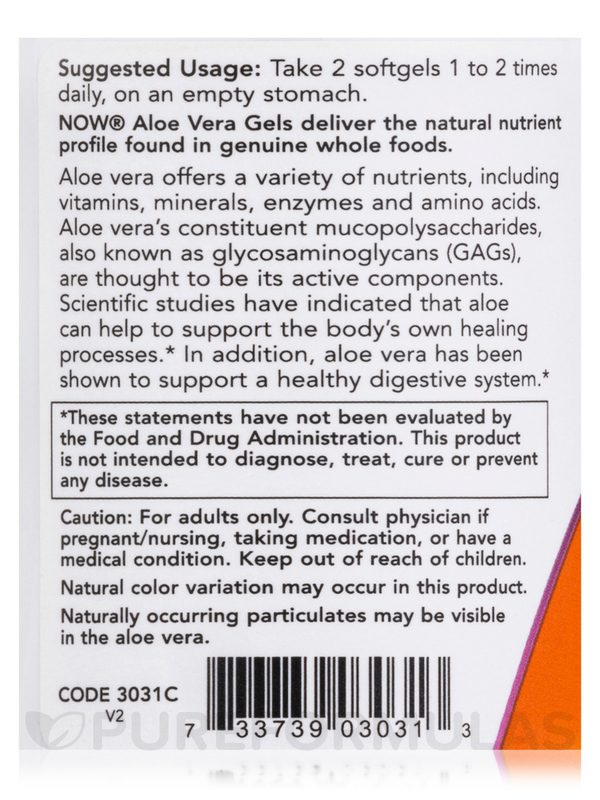 Naturally occurring particulates may be visible in the aloe vera.